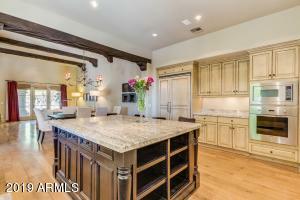 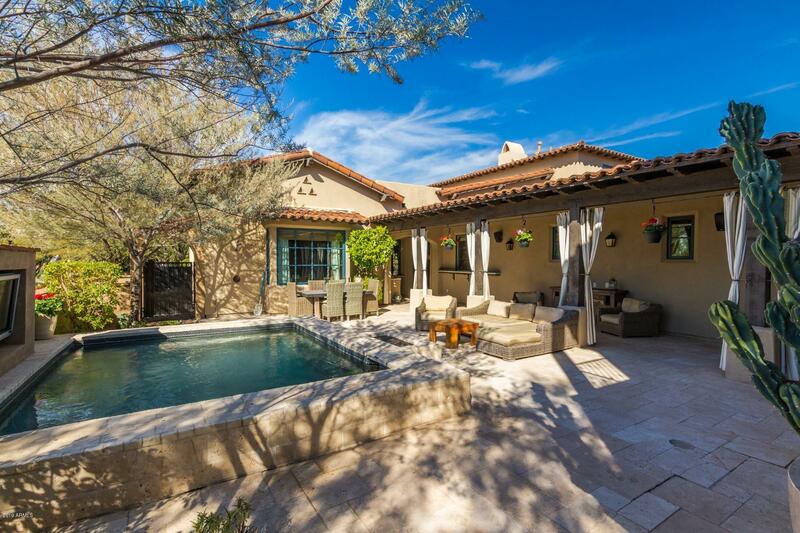 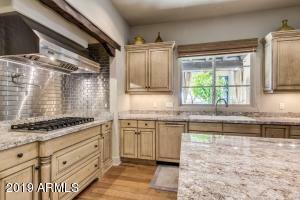 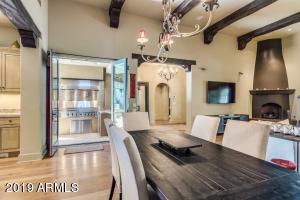 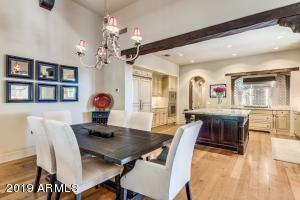 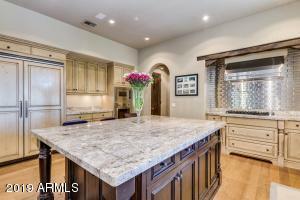 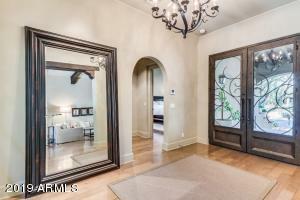 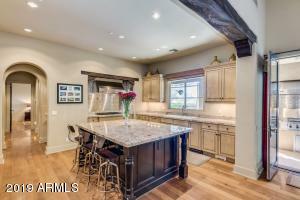 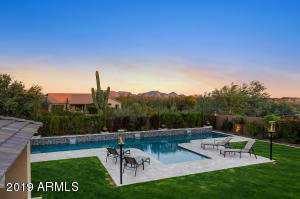 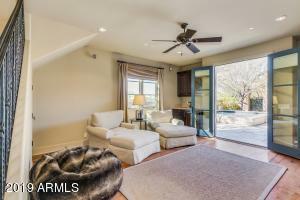 Stunning Silverleaf Villa with attached Guest Casita. 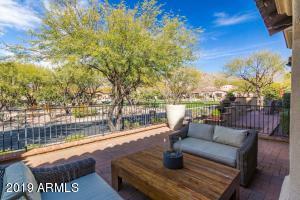 Front courtyard with Mountain Views overlooking Grove Park. 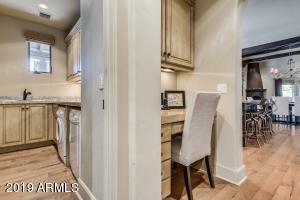 Upgrades throughout including Gourmet Kitchen with Viking Appliances, Large Granite Island, Open to great room with hardwood floors, fireplace and french doors opening to private courtyard with heated spool. 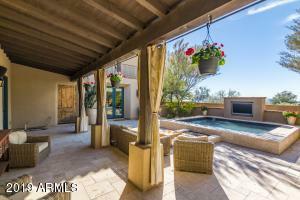 Outdoor kitchen built for entertaining. 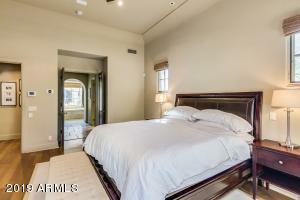 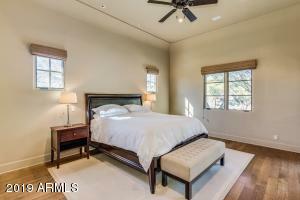 Master suite with hardwood floors and separate exit to courtyard. 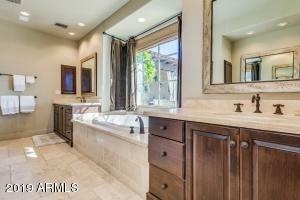 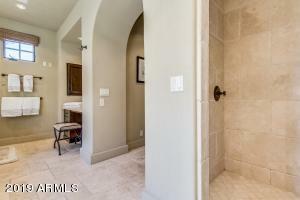 Master bath with dual head steam shower, large master closet with washer/dryer hookup. 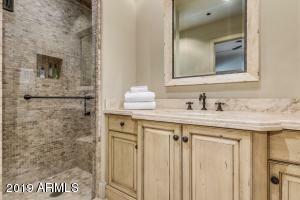 Travertine floors, his and hers vanity areas. 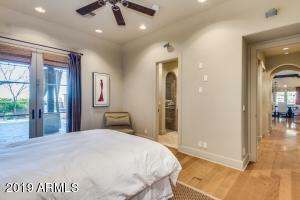 Guest suite with two full baths, wetbar, living area and loft with private balcony. 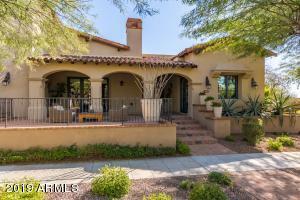 Gaurd Gated Private Golf Community. 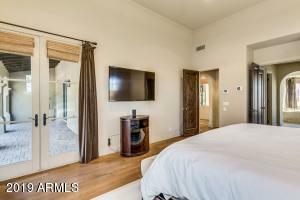 E. Thompson Peak Pkwy. 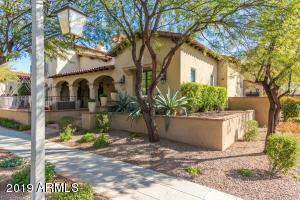 And N. Pima Rd.